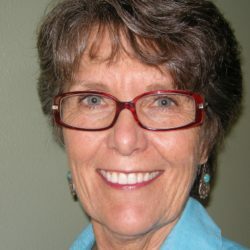 Cindy Ensworth is an Emeritus Organizer of the California Teachers Association and has been a union activist for nearly forty years. Cindy was a special education teacher from the mid-1970s to the mid-1990s. During her time as a teacher she served her union as a building rep, grievance rep, bargaining team member and was elected president for two terms. In 1995, Cindy was hired by CTA as a Union Representative and since 2004 has worked as a regional organizer with more than 200 education locals throughout southern California. Her work’s emphasis is developing and coordinating efforts to improve the learning conditions of public school students and the working conditions of educators. Cindy is active as a member of the staff union which represents CTA employees, the California Staff Organization/NSO. She has served CSO on the organizing team and grievance committee. She is a trainer of NSO’s Organizing for Power©. Cindy received a BS from the University of Wisconsin and her MA from the University of Northern Colorado. She graduated from the Harvard Trade Union Program in 2001.